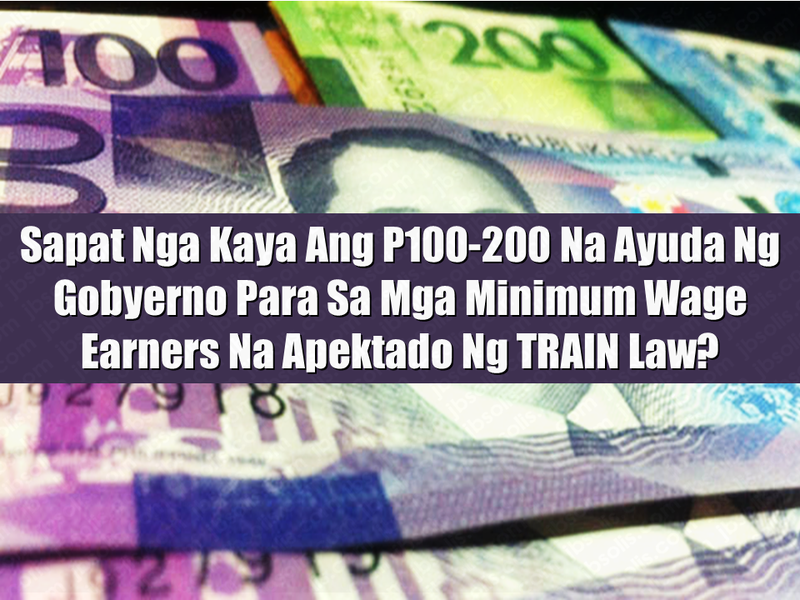 THOUGHTSKOTO Thoughtskoto : Is P100-200 Cash Subsidy For Minimum Wage Earners Enough? Is P100-200 Cash Subsidy For Minimum Wage Earners Enough? Most of the minimum wage earners are directly affected by recently imposed Tax Reform for Acceleration and Inclusion (TRAIN) law. 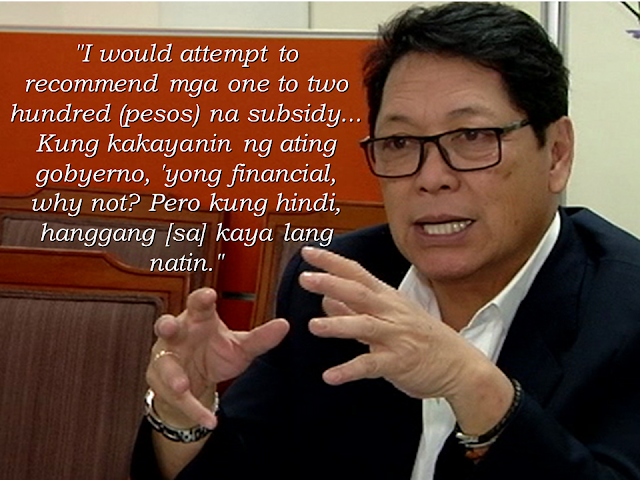 In this regard, the government has a proposal to give P100-200 subsidy to them to ease the burden but is it enough? The irony is that even there is a minimum wage set for local workers, there are still companies and establishments who are not faithfully giving the appropriate wage. What about them? Associated Labor Unions-Trade Union Congress of the Philippines (ALU-TUCP) said that the proposed P100 -200 would not be enough to ease the effect of the price hike to the workers. 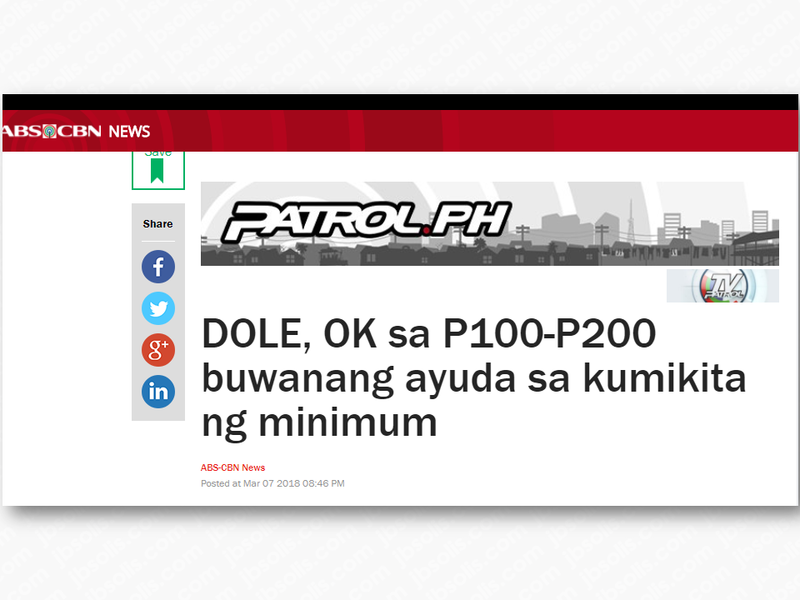 Department of Labor and Employment (DOLE) is mulling for a proposal to give P100-200 monthly subsidy for local workers who are earning a minimum wage as an assistance to the anticipated effect of the newly implemented Tax Reform for Acceleration and Inclusion (TRAIN) law. Labor Secretary Silvestre Bello III, said that the government cannot sustain the P500 monthly subsidy earlier demanded by the labor groups. Even if the minimum wage earner got higher takehome pay after the implementation of the TRAIN law, there are still no increase in what they can get due to price hike of basic commodities. Associated Labor Unions-Trade Union Congress of the Philippines (ALU-TUCP) said that the proposed P100 -200 would not be enough to lighten the burden of common laborers. 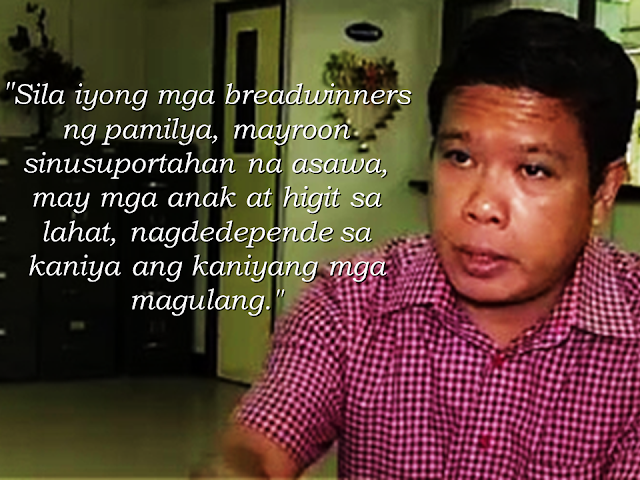 ALU-TUCP is hoping that President Rodrigo Duterte would see the importance of giving subsidy to the minimum wage earners. Tanjusay said that if the laborers are neglected, the support of the public to the president may weaken. Economic managers and labor groups are set to have a meeting on March 15 with President Duterte.